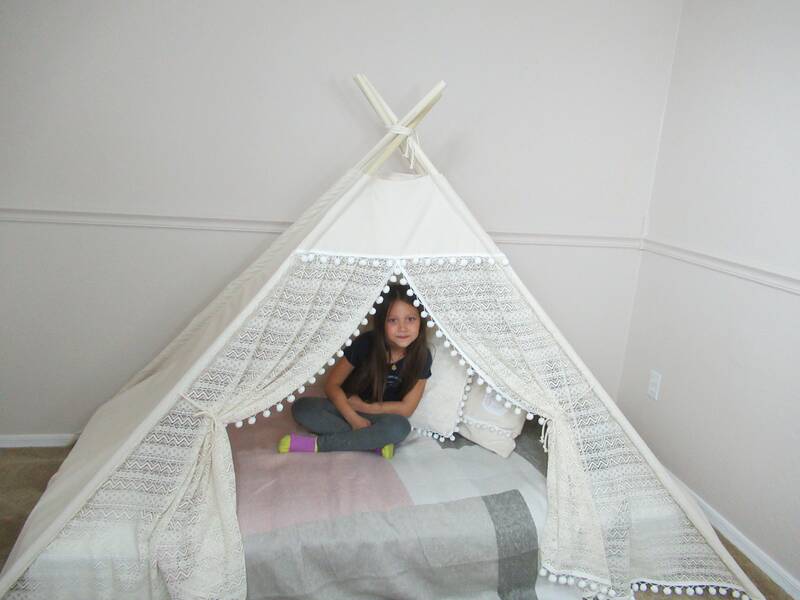 Every piece of authentic TucsonTeepee is handmade in USA, with original desgin, whole piece solid wood poles*, best quality fabric available on the market. 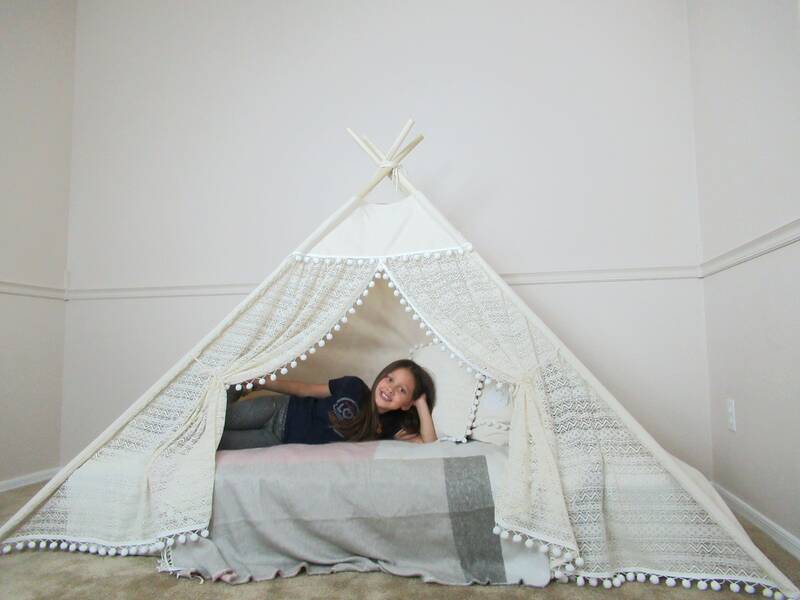 Mattress teepee in Pocahontas ruffle lace style. It will turn bedtime into fun time. You can choose the mattress size from the dropping menu. 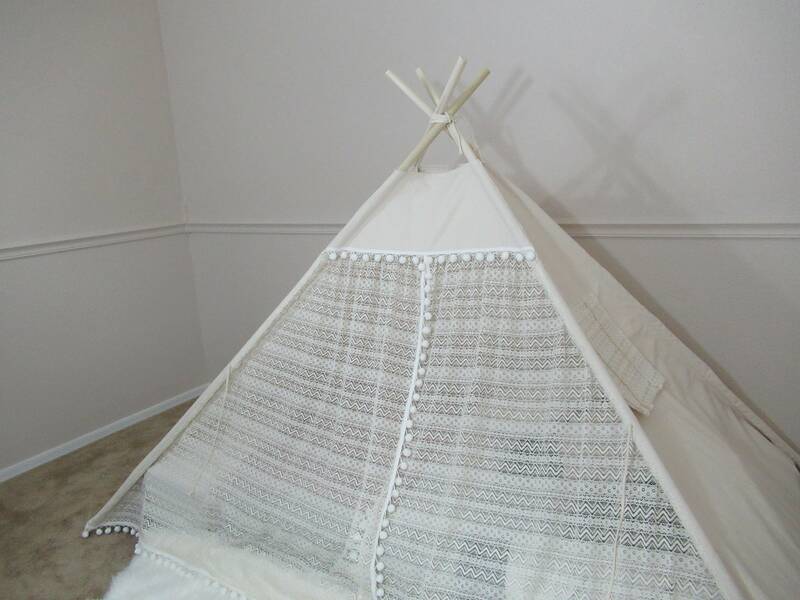 A side flap window come with the teepee as default. The one in the picture is a 12 inches thick twin mattress. ★ Will it stay stable? Yes, it will. 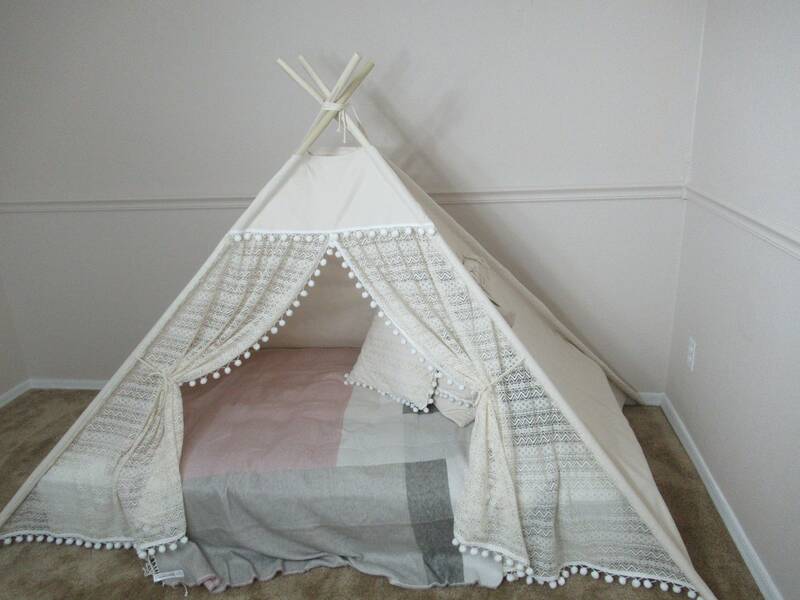 There is canvas bottom which ties to the teepee poles beneath the mattress. 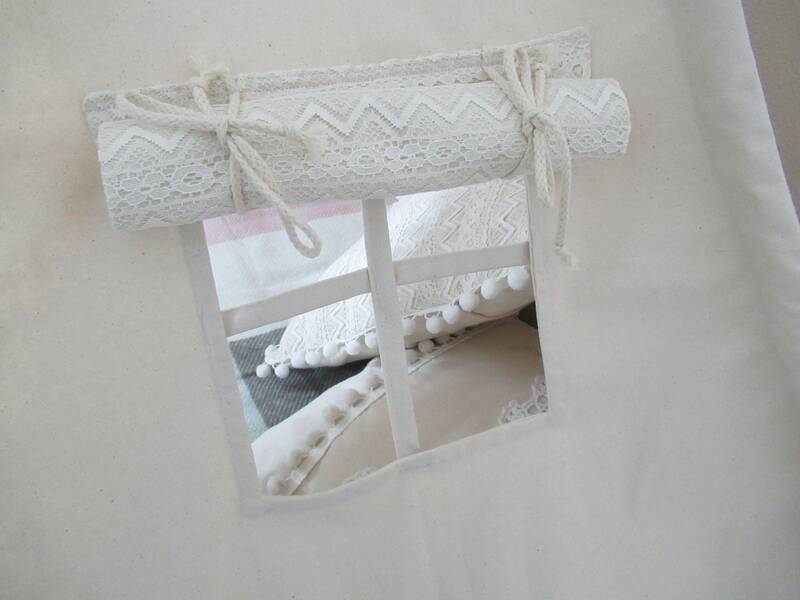 It will hold the mattress well. 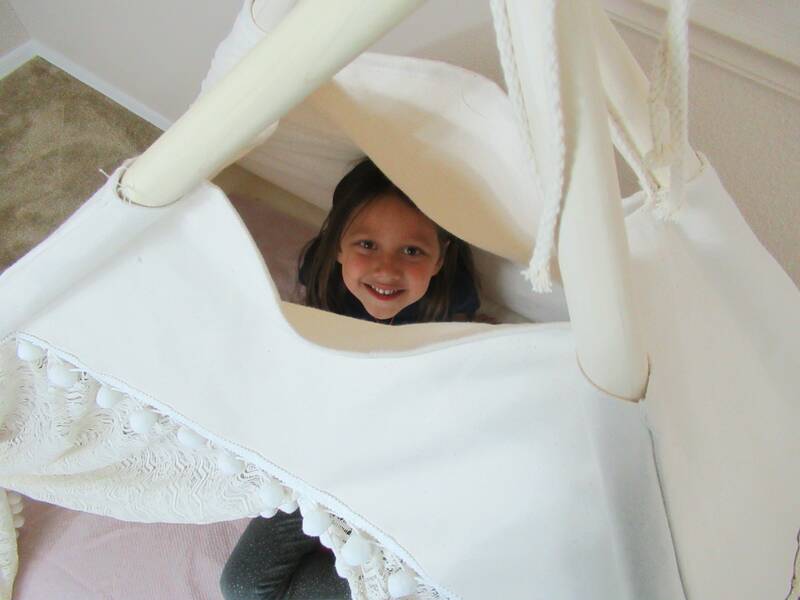 ★ Will it fit my mattress which is a different thickness? 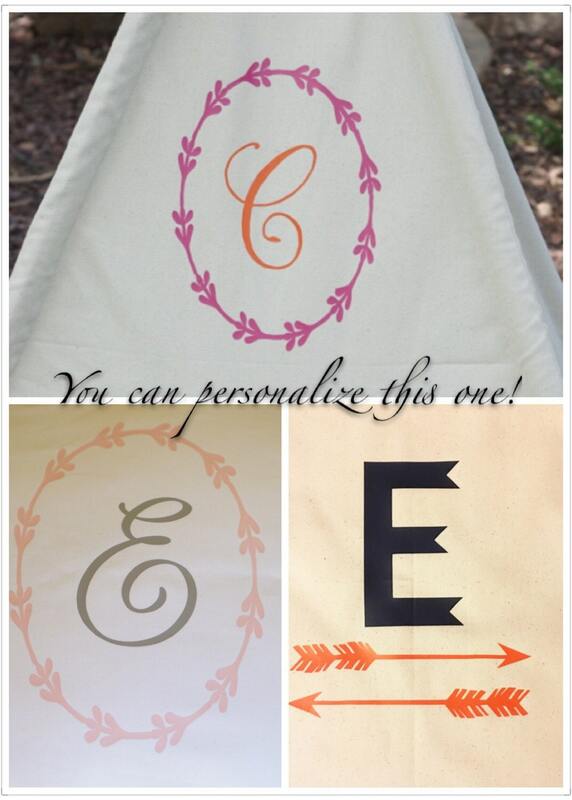 Yes, it will because we customize all the bed teepee. Please leave your mattress size when you check out the item. 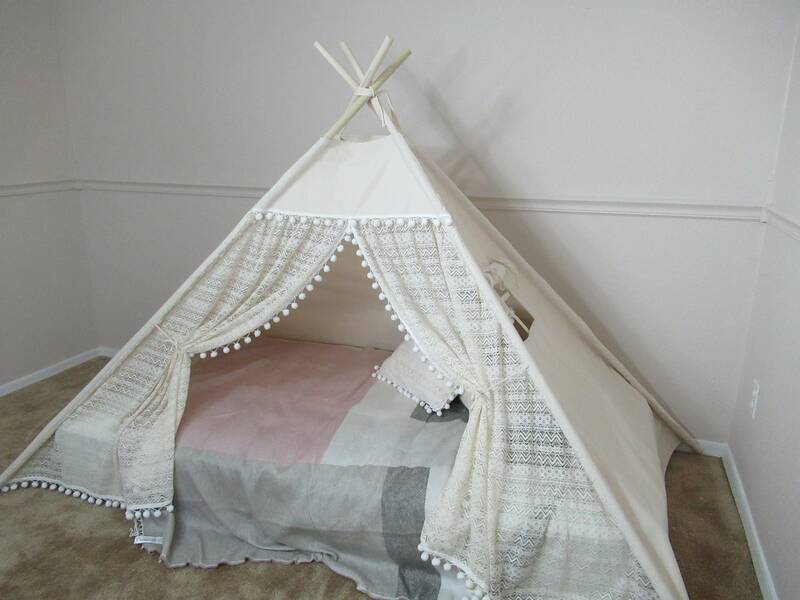 Sizes available to fit standard crib mattress, twin mattress, full mattress. The one in the listing is a 12 inches thick twin mattress. 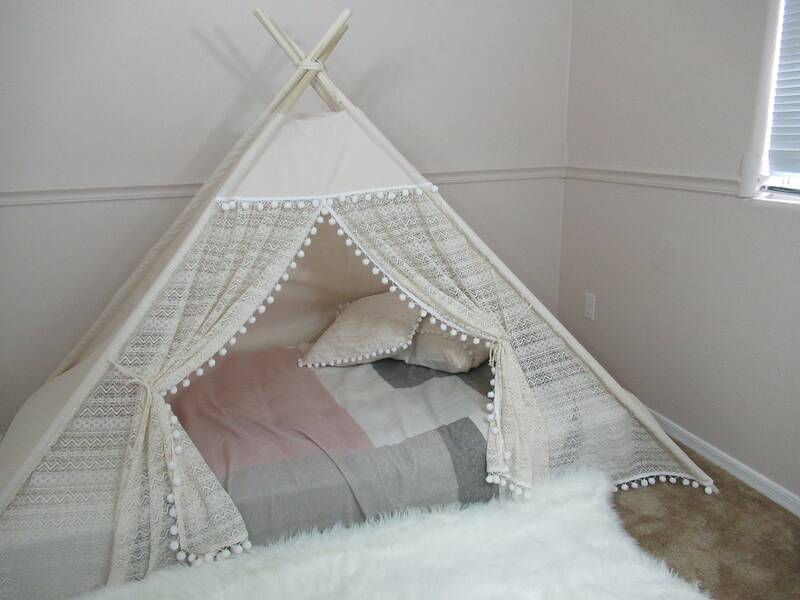 Crib/Twin mattress teepee bed comes with solid wood poles. 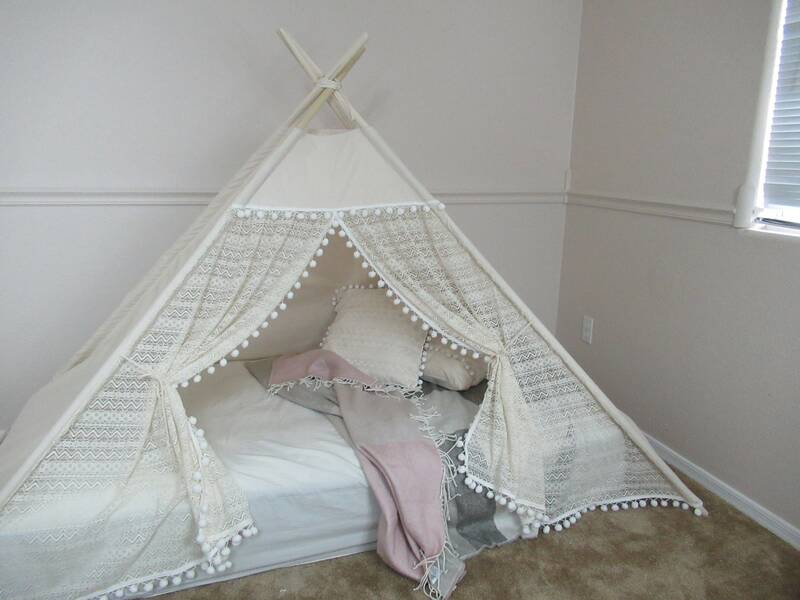 Full/Queen mattress teepee bed comes with nature bamboo poles.